« Kick Off The Holidays at Woodstock Wassail Weekend 2017! Now is the time to plan that first Vermont ski vacation of the New Year! Ring in 2018 on some of Vermont’s best slopes, all easily accessible from our Woodstock, VT B&B. Woodstock, Vermont is the perfect solution for anyone looking for a Vermont ski vacation home base. Suicide Six, Killington, Okemo, and more are just minutes away. Alpine skiing, cross-country skiing, snowboarding, snowshoeing, and fatbiking are all on the menu. You can even go ice-fishing and dog-sledding! Add Woodstock’s shopping, dining, and site-seeing opportunities to all the below an and you’ll see why you should make Deer Brook Inn your Vermont ski vacation headquarters. Woodstock’s own Suicide Six Ski Area opened in the 1930’s and lays claim to having installed America’s first rope tow. The resort offers 24 trails on over 100 skiable acres. Family-friendly, Suicide Six’s slopes are 30% beginner, 40% intermediate, and 30% advanced. Snowboards are welcome (the first US snowboard competition was held here in 1982) and they offer rentals and lessons. Tubbs Snowshoes & Fischer Nordic Adventure Center offers an extensive network of winter trails across Mount Peg and Mount Tom. More than 30 km of groomed trails for skate and classic cross-country skiing. Snowshoers and fat bike riders are welcome. Rentals, trail passes, winter clothing, and accessories are also available. Okemo Valley Nordic Center features 26 km of tracked and skate-groomed terrain for skiers, and 10 km of trails dedicated to snowshoers. A fully-stocked Nordic Ski Shop offers rentals, clothing, accessories, demos, repairs, waxing, and lessons. Killington is the largest ski area in the eastern U.S., with 155 trails, 22 lifts, and the largest vertical drop in New England: 3,050 feet. Expert skiers, novices, snowboarders, freeskiers, snowshoers, and even inner-tubers will find terrain to suit them. Rentals, accessories, lessons and more. Pico Mountain has 52 trails, 7 lifts, and a 1,967 vertical drop. 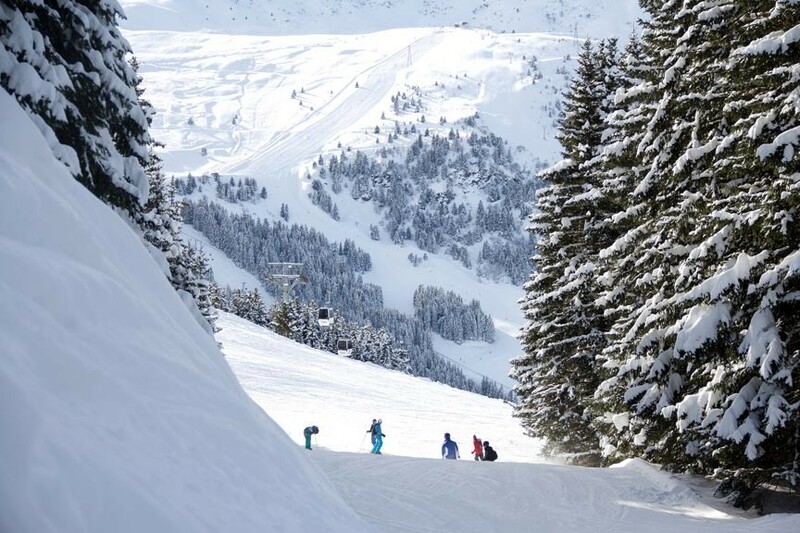 Family-friendly with trails to suit every level of skiing, Pico Mountain also offers rentals, lessons, and a variety of culinary options. Mountain Meadows Cross Country Ski Resort has over 40km of trails for Nordic skiing, snowshoeing, and fatbiking. Snowshoes and dogs are welcome on all trails with three trails designed specifically for snowshoers. Rentals of skis, snowshoes, and fatbikes are also available. Wilderness Trails offers well-groomed trails and equipment rentals for cross-country skiing, snowshoeing, tubing, and ice-fishing. They also offer a variety of guided trips. Braeburn Siberians offers a variety of Siberian husky dog sled excursions and shorter rides between December and March. Deer Brook Inn is less than 30 minutes away or less from every Vermont ski location listed above! You’ll enjoy spacious and casual lodging at our stylish, 1820’s farmhouse inn. Each of our four guest rooms and suites include en suite bathrooms and individually controlled heat and air conditioning. And just wait until you see what’s for breakfast! Book your stay today at Deer Brook Inn, a Woodstock, Vermont B&B!